Yen Wei Choong, L. Ac. Professor Choong’s far ancestor, Zhi Lu (子路) Choong, was one of Confucius’ most famous disciples, so he has the highest inheritance of Chinese Taoist Culture in his blood. Born in Mainland China in 1948, he started studying Taoist philosophy & Chi-Gong in 1965 (at age of 17); he graduated with a B.S. degree from the College of Chinese Culture in 1973 in Taiwan. In the 1970’s Professor Choong was enthusiastic about studying the Indian Ananda Marga Yoga and doing spiritual retreats with Indian Yogis. He also studied authentic Acupuncture and Chinese Medicine with old masters in Taiwan. Then in 1980, Professor Choong dedicated himself to the mastery of acupuncture and herbal therapies in Taiwan. He moved to the US and started practicing in 1982. In the 1990’s, Professor Choong served as the traveling acupuncturist for Jerry Garcia and the Grateful Dead, looking after their health. Currently, Yen Wei Choong serves as a well-respected chairman of the board of directors and professor at the Academy of Chinese Culture and Health Sciences in Oakland. As the Director of the Yellow Emperor, he is known internationally for his powerful needles, generous heart and potent herbs. Originally having studied western medicine, Mr. Liu (Ken) became acquainted with Eastern philosophy and consequently the medicine through the discipline of kung-fu. Having the ability to cultivate ones own Qi, then transmit into ones patients is a profound spiritual practice which Yen-Wei has helped him bolster the last few years. Studying acupuncture formally in San Francisco followed by subsequent licensing, Ken meet Yen-Wei at a free community clinic where Yen-Wei eventually asked him to come work in Marin. Ken has a private practice in Mountain View, CA and is continuing to study the pre-communist version of the medicine with Yen-Wei. Committed to restoring her clients towards optimal health for over 20 years, Ariane Wlasak brings holistic precision, intelligence and assurance to you through her multiple treatment modalities. 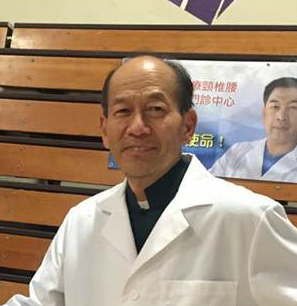 Having received a Masters of Science in Traditional Chinese Medicine and while studying with acclaimed Chinese herbalists such as Richard Baibing Zhu L.Ac., Ariane, also known as Ananda Ma, complements the Mastery of Yen-Wei Choong L.Ac. at the Yellow Emperor Natural Healing Center as an Associate. Her stellar offerings parallel her passion for optimal health, mindful movement, holistic education and a vibrant community. While working as a clinical intern at the California Pacific Medical Center in San Francisco, she enhanced her understanding of effective strategies for the treatment of stroke and traumatic injuries while weaving in healthcare innovation technologies. Passionately following an appetite for learning to empower her clients, Ariane has studied multiple Asian bodywork modalities and subtle body healing techniques of color and sound therapy in England, Germany and Switzerland. Interweaving her Taoist practice with her certification in Iyengar yoga teachings and having studied with Manouso Manos and Geeta Iyengar, she also brings to you a most special gift of mindfulness and precision for changing and sparking your health beyond the horizons of your limitations. Ananda seeks to inspire you about your health and life itself. She currently holds her California State License and multiple International Certificates.